Summary of today’s show: Scot is surrounded by lawyers as he and Fr. Mark welcome the Honorable Maura Doyle and Carolyn Carideo for a frank and humorous discussion of the Catholic Lawyer’s Guild, living as a Catholic lawyer in Massachusetts, and the annual Red Mass for lawyers at the Cathedral this Sunday. Also, looking at this Sunday’s Mass readings on forgiveness and the parable of the workers in the vineyard. 1st segment: Scot said Fr. Mark is the judicial vicar for the Archdiocese, but he’s also chaplain of the Catholic Lawyer’s Guild as the vicar. This weekend, the Guild has a big event. The highlight of their year is the Red Mass, which is this Sunday with Cardinal Seán at the cathedral. Scot asked Fr. Mark what similarities there are between canon law and civil law. Fr. Mark said the philosophy of law is the same everywhere and comes to the seeking of justice. But the differences between canon and civil law are very great, including the rigidity of sentencing. Where the highest law in canon law is the salvation of souls, it allows a lot of flexibility in application. We see similarities in situations where canon law is trying to do the same things as civil law, like in the governing of property. Scot said a great aspect of our country is that we are a country of laws and a people who respect the law. In eastern Massachusetts, we also have many Catholic lawyers. 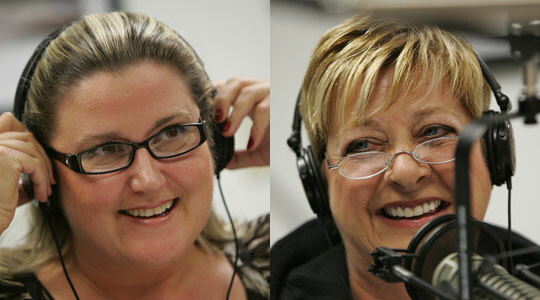 Our guests today are Maura Doyle and Carolyn Carideo, one an experienced lawyer and a newer lawyer. 2nd segment: Scot welcomed Maura Doyle, who is clerk of the Supreme Judicial Court in Suffolk County, and Carolyn Carideo. Maura has been involved with the guild for about 20 years. The guild started around 1987. Scot asked Maura about her experience and title. She said she is the Trial Court Clerk of the Supreme Judicial Court. It’s the oldest court of continuous existence in the Western Hemisphere and was created in 1692. It was created for the purpose of traveling to Salem to deal with the witch trials, and after it became involved in those trials they acquitted or overturned every case. This trial court had jurisdiction over the entire state for capital cases. The Clerk is an elected position and has been that way since the mid-1800s. At the time the court was becoming so busy hearing capital cases throughout the state that the State created a new superior court with jurisdiction over all capital cases, although the supreme judicial court could still hear murder cases. Prior to her service at the Supreme judicial court, she was a trial lawyer for 11 years in the federal court. She was also an adjunct faculty at Suffolk University. Carolyn has been practicing law since 2007. In 2003, after working in various industries, she went back to school for law at night at Suffolk University. She practices real estate law. She works in a family-owned real estate business. Scot asked how many of her classmates got into real estate or property law. She said not many and even she had been wary to jump out on her own in 2007 and stayed with her current job. Maura is Carolyn’s aunt and godmother and performed the swearing-in when Carolyn became an officer of the court and a member of the bar. Maura gave special attention to Carolyn at the swearing-in above all the others who were present and getting sworn in to Carolyn’s embarrassment. Maura said 3,000 people pass the bar in Massachusetts because of all the law schools. This November, Maura will have reached 30,000 lawyers sworn in during her career. Maura said the practice of law is an honorable profession, one of only three that require an oath (doctors, lawyers, and theologians), and she is troubled when she sees young lawyers minimize the accomplishment and profession. I (repeat the name) solemnly swear that I will do no falsehood, nor consent to the doing of any in court; I will not wittingly or willingly promote or sue any false, groundless or unlawful suit, nor give aid or consent to the same; I will delay no man for lucre or malice; but I will conduct myself in the office of an attorney within the courts according to the best of my knowledge and discretion, and with all good fidelity as well to the courts as my clients. So help me God. Maura said everyone present is required to stand during the oath because it is what you become at that moment, not something you do for a living. She said there was an effort recently to make the oath politically correct so she said no. Every lawyer going back to 1686 has made this oath. Scot noted that a few give the many a bad name and people have a generally bad idea of lawyers. What does she tell young lawyers? Maura said the Honorable Frank O’Connor would tell the new lawyers that everyone has a joke about lawyers, but everyone would also say that they want to get rid of every lawyer but one—their own. People associate lawyers with litigiousness of society, but they also do so much more than that. They advocate for the voiceless, mend relationships, try to achieve justice, help people put the pieces of their lives back together. 3rd segment: Scot asked Carolyn why Catholic lawyers should become members of the guild. She said a lot of what you might think of as your lawyer-self might make it impossible to be both. But your faith affects all of your life, including being an attorney. Even if its something that’s been fallen away from, learning to embrace their Catholicism will bring them peace and help them find the justice they’ve been trained to seek. It’s also a source of wisdom and community among people who’ve been living the same sort of life. Being Catholic is in your bones. It wouldn’t define you as apart from your peers. But if you embrace it, it can make you a better lawyer. Fr. Mark said the speaker at their banquet was John Garvey, now president of Catholic University of America. He said if you don’t bring the principles of your Catholic faith to your life as a lawyer, what are you bringing? What are you basing your morality on? Maura said she’s found newer lawyers today are very impressed with themselves. They don’t realize that civility and professionalism are important. Courtesy, respect, and civility are part of the Golden Rule. It’s important and society has often forgotten a lot of the manners and professional courtesies. A word should be your bond, but newer lawyers won’t take the word, but want it in writing to use against you later. Scot said hopefully being a Catholic makes you a better lawyer or whatever profession. Carolyn said the lawyers are also fighting against a lot of the ways TV shows and movies portray lawyers. In reality, most lawyers, even those on opposite sides of cases, have a fraternity and are friendly to one another. Maura said in the oath ceremony, she stresses that they are to be peacemakers, not hired guns. Abraham Lincoln said that a lawyer, as a peacemaker, has a superior opportunity to be a good man. Scot asked who can join the Catholic Lawyers Guild. Anyone from law school students to the most experienced lawyers can join. There isn’t a formal program yet for new laws, but there’s a wealth of experience among the membership. Fr. Mark said it’s not formal mentoring, but they do have more experienced lawyers reaching out to new lawyers serving in a high-powered work environment. As a chaplain, Fr. Mark attends Board of Directors meetings and represents the cardinal to them and ensures they remain authentically Catholic. On the Saturday of Palm Sunday each year, they have a day of reflection for the Guild. Maura said they also have a Spring lecture, and in the last couple of years it’s been at the John Adams Courthouse. It can be a variety of topics. Recently, it was a canon lawyer who spoke on the history of the Extraordinary Form of the Latin Rite, which fascinated the civil lawyers. This year was Billy Bulger talking about his new book on John Michael Curley. Maura said young lawyers have a hard time transitioning on how to live their faith within their professions without compartmentalizing them. She said it needs to be brought to their attention that there is a crossover because the laws and rights are predicated on the 10 Commandments. All of those things emanate from religious belief. Some young lawyers don’t see that. Fr. Mark said it’s good to see the judges and lawyers and new lawyers on a level playing field talking about their faith. 4th segment: Scot said this Sunday is the Red Mass, a gathering of lawyers with Cardinal Seán as celebrant. It’s at 11:30 at the Cathedral. Fr. Mark said the Mass is an ancient custom and many of the dioceses in the US have Red Masses. The biggest one is in Washington and the 9 Supreme Court justices attend, the 5 Catholics and the 4 non-Catholics as well. That’s where Cardinal Seán came to appreciate the Red Mass. The Red Mass is called that because of the vestments. It goes back to ancient times when lawyers wore red. Doctors have the White Mass. Cardinal Seán always gives a “be proud to bring your faith to work” homily. After the Mass is a banquet at the Seaport Hotel about 1pm where Chief Justice Philip Rapoza will speak. Tickets for the reception are still available at the door or they can be purchased online. Chief Justice Rapoza of the Appeals Court is a very devout Catholic, Maura said. He is Chief Justice of the Interim Appellate Court in Massachusetts. The Interim Appellate Court was created in 1972 to lessen the amount of appeals on the Supreme Judicial Court. He’s been a judge at several levels and became Chief Justice of the court in 2006. At one point he was also a special judge appointed by the United Nations to an international criminal court for crimes against humanity in the island-nation of East Timor, a former province of Indonesia. They’ve had some great speakers over the years: Helen Alvare, Justice Antonin Scalia, Gov. Casey of Pennsylvania and more. 5th segment: Now, as we do every week, we look forward to this coming Sunday’s Mass readings to help us prepare to celebrate together. Scot asked Carolyn what jumps out to her from these. She said it seems no contracts were signed. But really, what she sees is that we need to mind our own business and not worry about what the next guy is doing. Don’t be trying to be a better Catholic than the next guy. Have your own path and mind your own faith. When you focus away from your own self, you can go astray. Maura said in the first reading it’s the idea of forgiveness that jumps out. In practicing law, just because you have an opposing counsel, they are not the enemy. You need to have forgiveness for those who oppose you. Also, don’t point out the speck in your brother’s eye, when you have a log in your own. In these days, there’s a lot of self-centeredness. Everyone thinks they’re being taken advantage of. There’s also a minimalism where people think they could have done less to get the same wage. Work is not just a burden but is a service. The parable is about how God acted and we should rejoice because God has been generous to those who have lately received his grace. Fr. Mark said God gives the answer to the Gospel in the first reading. It’s the idea of what God thinks is fair. God’s idea of fairness is God treating everyone equally. The guy who waits until 5 to get work is the weakest and least capable. But God treats them with as much respect as the strongest and most capable. Scot said in reading the parable putting ourselves in each of the roles can be revealing. If you’re the last one picked, you’re anguishing over being able to provide for your family. It teaches us to be generous and grateful.